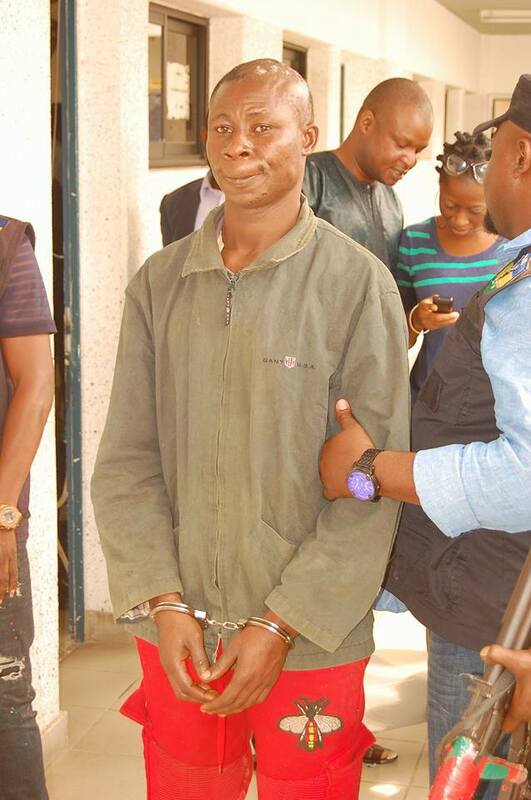 Gallant men of the Nigerian Police have successfully arrested a dreaded militant affiliated with the late Don Wanny. 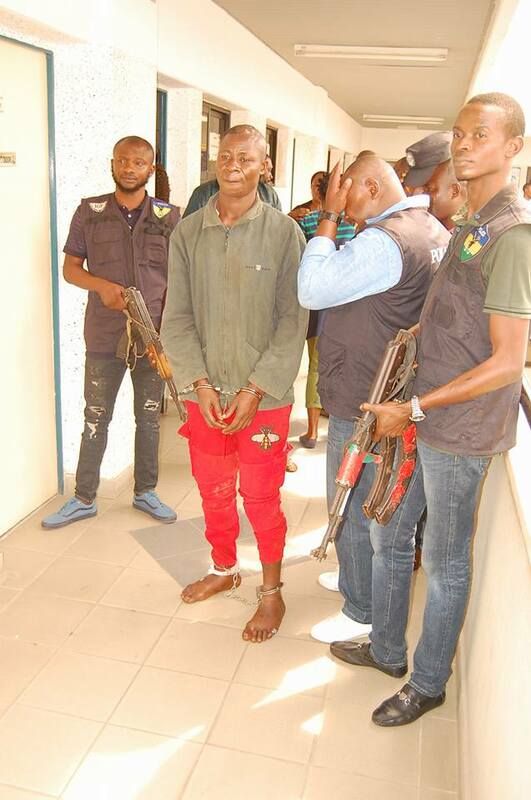 PARADE OF DESMOND OKOTUBO, A SENIOR GANG MEMBER OF THE DEADLY KIDNAP FOR RANSOM AND CULTIST SYNDICATE RESPONSIBLE FOR THE KILLINGS OF INNOCENT PEOPLE ON 1st JANUARY,2018 IN OMOKU RIVERS STATE BY CSP JIMOH MOSHOOD, FORCE PUBLIC RELATIONS OFFICER AT THE FORCE HEADQUARTERS, ABUJA ON 11th JANUARY, 2018. Concerned by the Gruesome Murder of Innocent people in Omoku Rivers state on the 1st January, 2018 by the vicious and Notorious kidnap for ransom and cult syndicate leader Don Wanny and his gang. The Inspector General of Police, IGP Ibrahim K. Idris, NPM, mni set-up special Police joint investigation team, comprising the IGP-Intelligence Response Team, the Force Criminal Intelligence and Investigation Department, Force Department of Operations and the Rivers State Police Command to immediately unravel those behind the killings and bring them to Justice. 2. 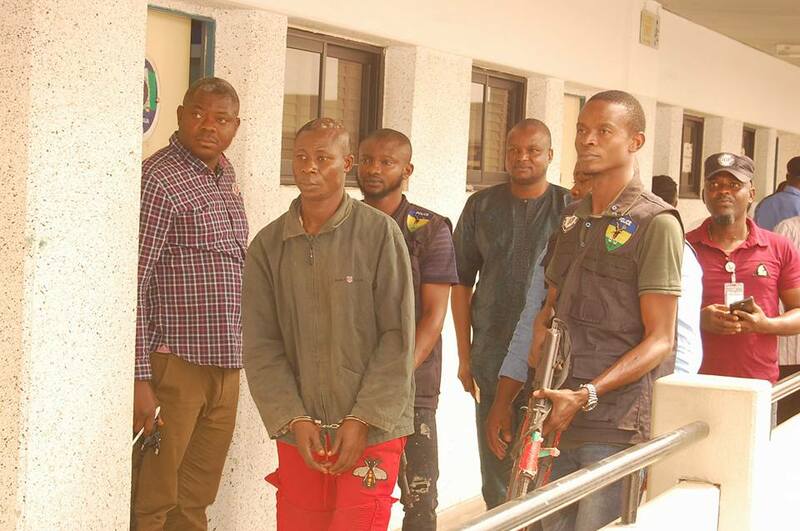 The IGP-Intelligence Response Team attached to the Joint Police Special Investigation Team engaged some of the suspects in their hideouts in Awara Forest boundary between Imo and Rivers State, the shoot out lasting several hours resulted in the death of six (6) of the suspects while others escaped with bullet wound injury to other locations in Rivers, Delta, Imo and Bayelsa States and the Police Teams are currently on their trail. 3. 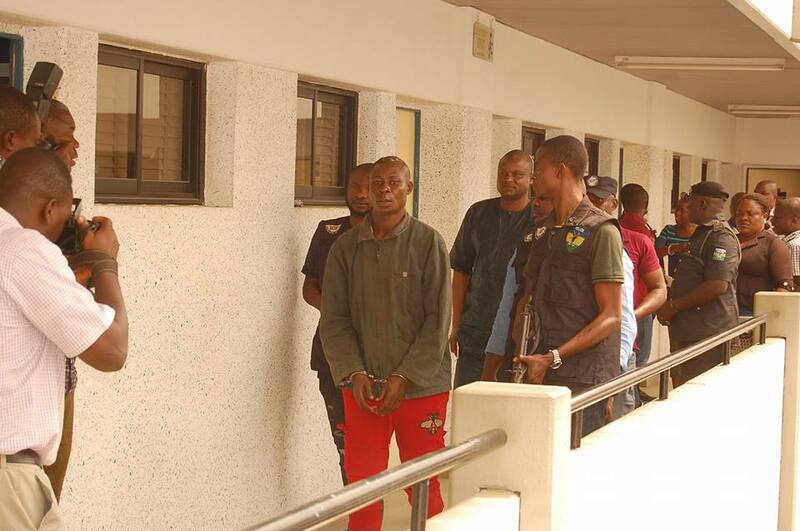 The IGP-Intelligence Response Team working on an actionable intelligence further identified Desmond Okotubo who escaped on the 3rd January, 2018 to Abuja after a shoot out with the Police Team in a location in Imo State, he was trailed to Mpape in Abuja where he was arrested after serious resistance on the 9th January, 2018.